Have you ever used Linode? We'll make it easier for you. 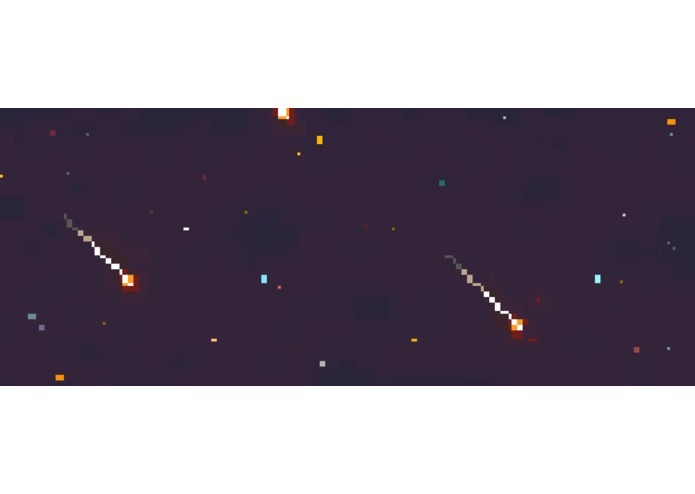 Creating a Nebula! Deploying a star! 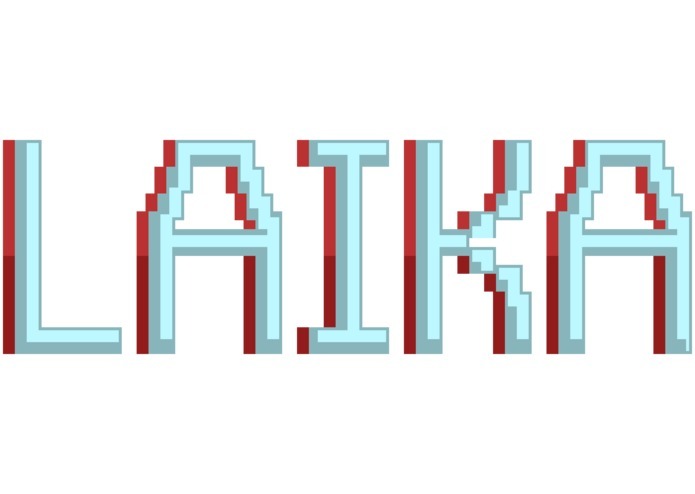 Lakia is a user friendly interface that allows a person to view, create, or destroy their Linode VPS's with ease. 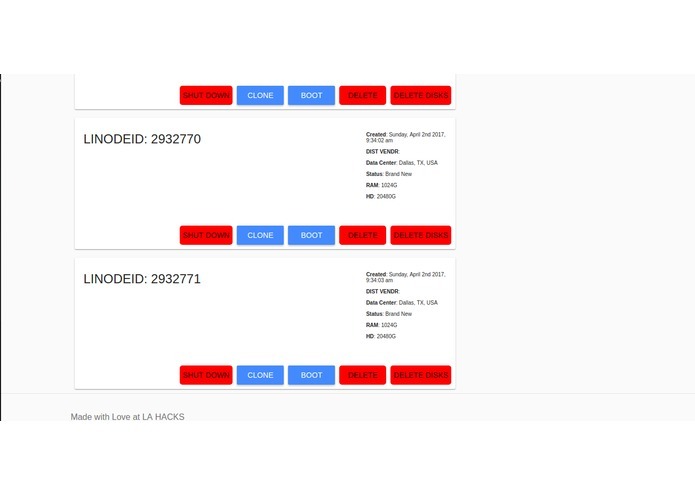 We used AngularJS, (Angular Material), and Linode's API. We wanted to give developers an easy way to manage their virtual private servers. 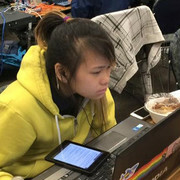 Instead of the user using the interface on Linode.com, they are able to quickly carry out functionality with this web app. For users that are new to using VPS's, we want to make it simple for developers getting started with Virtual Private Servers by allowing them to start a VPS we have configured for them. The user can create, clone, boot, shutdown, delete disks, check status of any Linode Virtual Private Servers for their account. 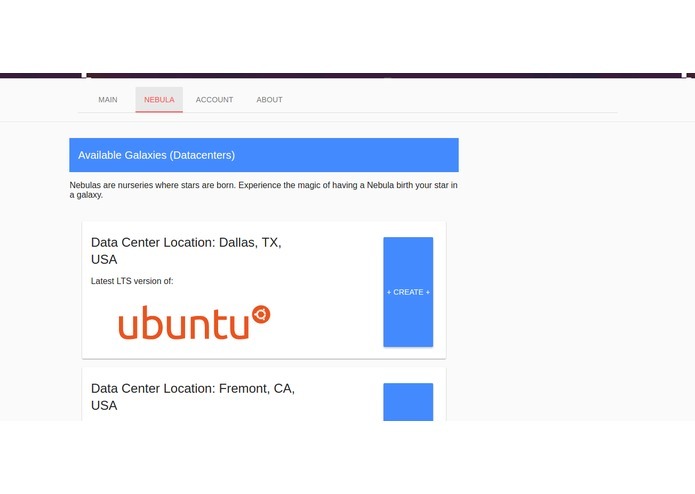 The user is given a list of datacenters where they can easily deploy Ubuntu servers. 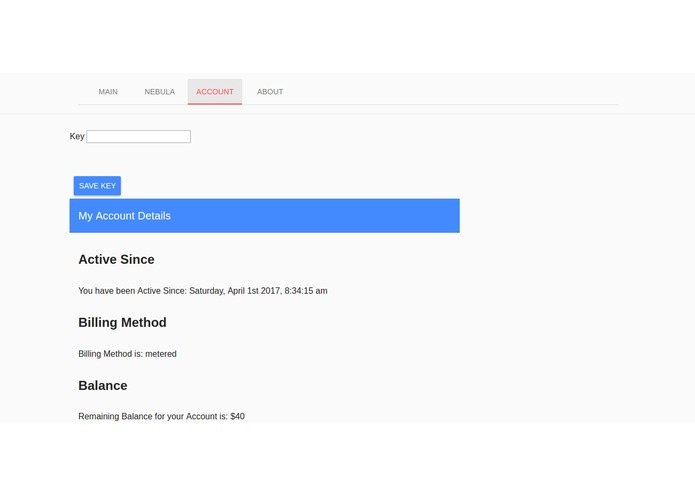 They are also able to view standard information about their account, such as how much credit they have in their account and when their account was created. How would one get started? It is simple! A user just has to add their api key to the application files after they have cloned the project from github. Follow the instructions provided on the repository to install dependencies and they will be able to manage their linode instances soon after! What's up with the Name and Space theme? We thought it would be cool to give our app a space theme. Galaxies make up the Universe, Galaxies are made up of stars, and stars sometimes have planets. The Internet has datacenters and these datacenters have servers, in which these servers may contain applications on them. In short, we think refering to our a virtual private server, simply a VPS, we thought to call them stars was better. And it went on from there!!!!! BTW, Lakia, our mascot was the first dog in space.